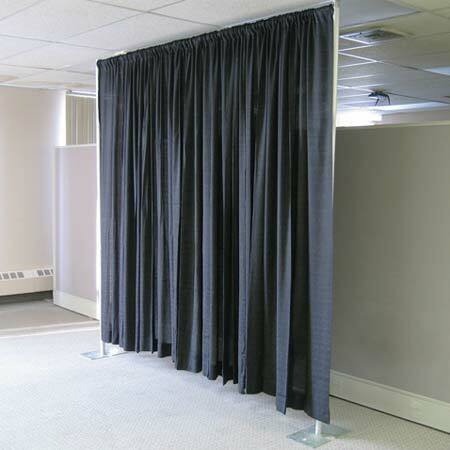 The ultimate draping accessory, Drape Swaging is what your guests deserve. At Peter Corvallis Productions we carefully match your party’s colors and drape linens from the event in beautiful, sweeping, arches. 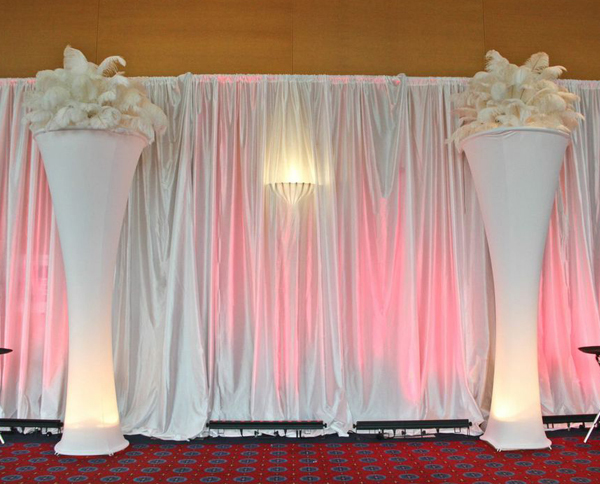 This look pairs beautifully with all of our draping options Add the finishing touch to your party with drape swagging. Pricing is based on Labor and materials. When you need that something special, there’s Patterned Drape! 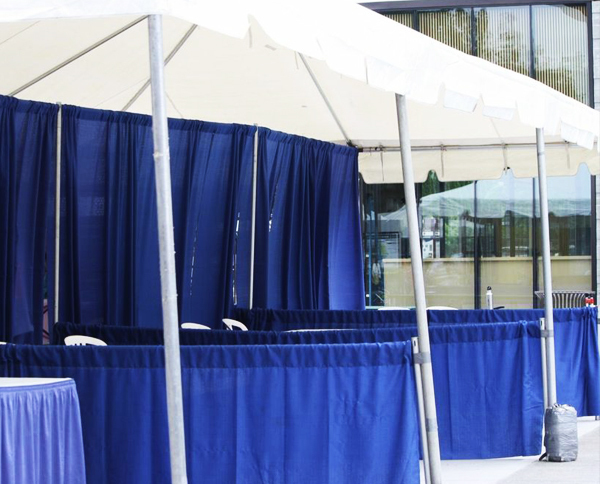 Our drapes are safe for conferences and outdoor events. 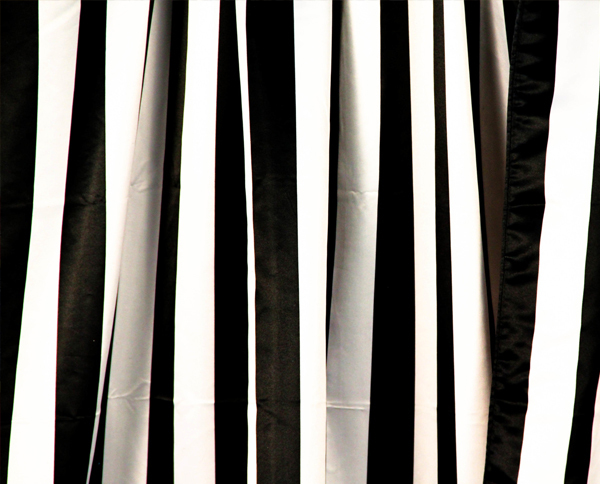 We offer two specialty black and white patterned drapes: stripes and damask! Use them for a sweet 16 party, or nautical theme. Or pair them with a solid color and take your party to the next level! 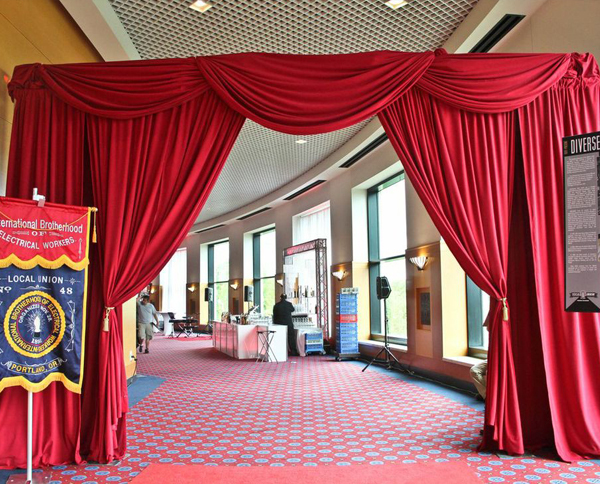 The Burlap Drape is a personality driven drape perfect for themed party rentals! 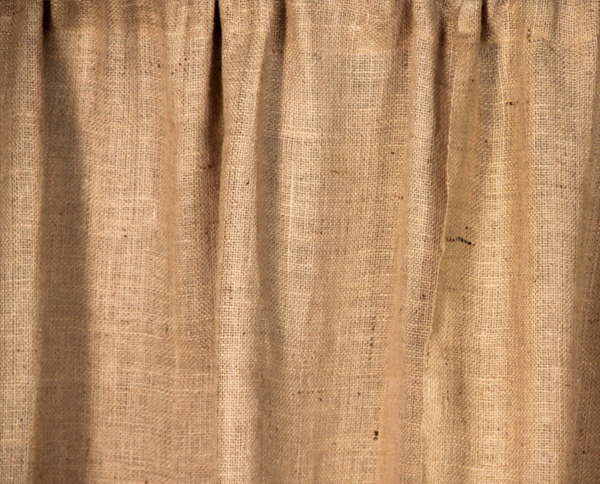 The drape is made from a natural burlap texture, and also comes in a smoother burlap fabric, giving you all the choice! It’s 12’H high and works perfectly for pirate themes, country weddings, and more! Sequined Drape is the what you’ve been looking for! This gorgeous pattern is available in two colors, silver and gold, and looks amazing paired with our sequined table linens. The fabric reflects light beautifully and we can set up a custom lighting solution to reflect off this elegance. Let Peter Corvallis plan your next party, today! You’ll love the beauty of the Beaded Curtain! 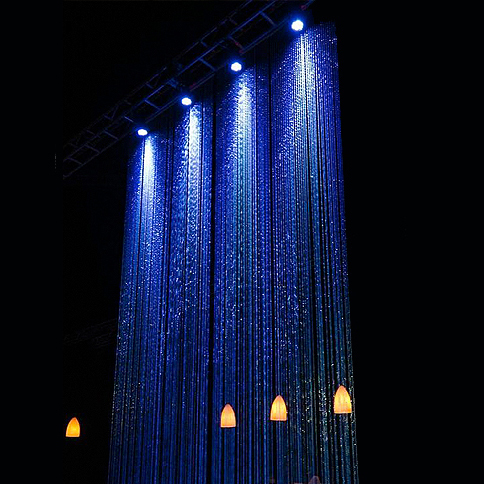 Just what your fundraising rental needs, the clear beaded curtain is available in 9′, 12′, 20′ heights. 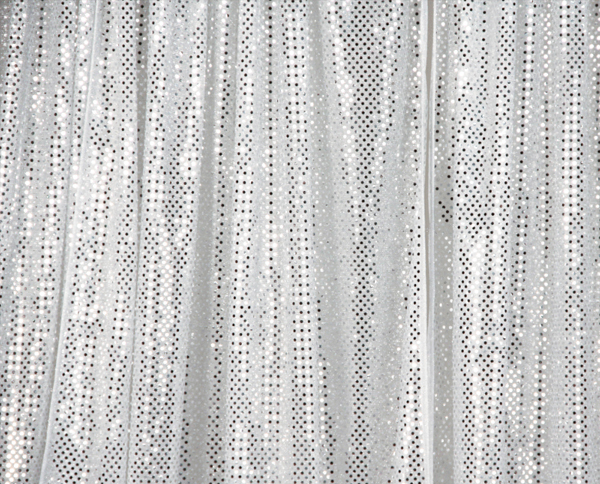 Great for backdrops, stage decor, and in front of drape this beautiful curtain reflects lighting brilliantly. We highly suggest you pair this curtain with any of our AV lighting effects, from flood light to LED. This curtain is also available in black raindrop acrylic. For those who seek an elegant, classic Portland wedding, the Chiffon Drape is calling your name. 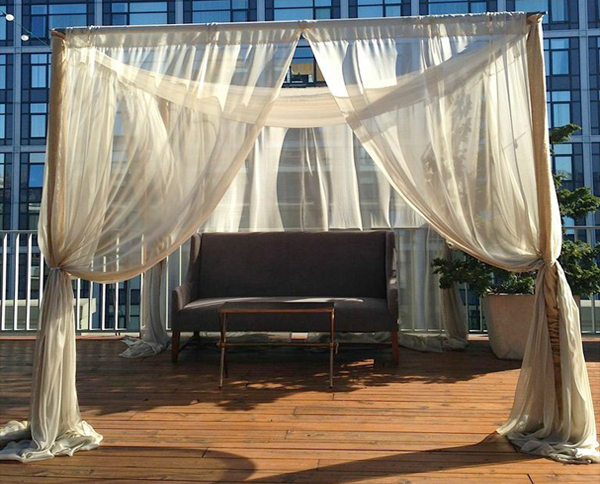 Beautifully soft fabric drapes over an exterior tent or standing sculpture to create a chic, yet simple look. The see through fabric lets in filtered light, but is unobtrusive enough to guarantee great photos. When you’re hosting your next outdoor festival, don’t forget the side rail! These fabric pieces go behind conferences tables and within your canopy to create a backdrop and filter light. We off side rails as a 3’H drape, and available in: White, Black, Hunter Green, Blue, Red, Burgundy, Gold, and Teal. 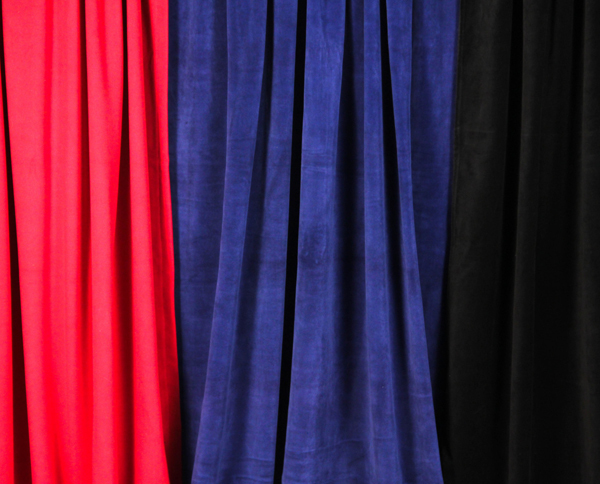 Sateen Draping is a beautiful fabric option, made from a cotton woven fabric with a satin or glossy finish. This texture creates a sophisticated, classic design option. The waved texture will look perfect on your next convention booth. Available in 8’, 12’’, 12′, 16′ heights, we offer a variety of colors. Not all colors available in all heights. Please call to inquire. Not all colors available in all heights.